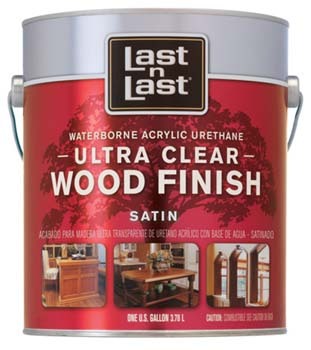 Paint Store :: Shop by Brand :: Absolute Coatings :: ABSOLUTE COATINGS 13101 LAST N LAST ULTRA CLEAR WATERBORNE WOOD FINISH SATIN SIZE:1 GALLON. MINWAX 42732 POLYCRYLIC BRUSH SIZE:2". DEFT 01104 SEMI GLOSS CLEAR WOOD FINISH SIZE:QUART. VARATHANE 13946 224491 CABERNET 457 GEL STAIN SIZE:QUART. DAP 80056 WHITE WDS DYNAGRIP MP MULTI-PURPOSE CONSTRUCTION ADHESIVE SIZE:10 OZ PACK:12 PCS. KRYLON 1708 SPRAY METALLIC BRASS SIZE:12 OZ. SPRAY PACK:6 PCS.